Pedersen Toyota’s Certified Collision Center is Northern Colorado’s top paint and body repair facility featuring state of the art repair tools and factory technicians. 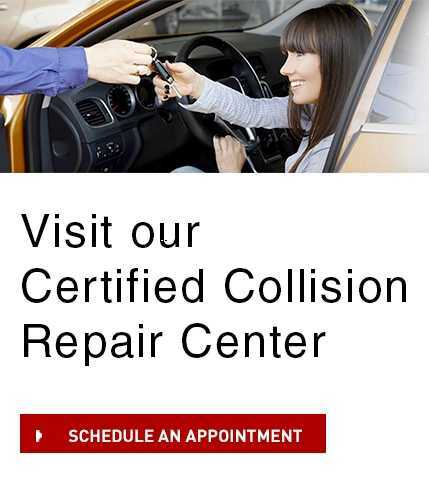 We are the ONLY Toyota Certified Collision Center in the state of Colorado guaranteeing your Toyota vehicle be fixed right the first time, on time and to your complete satisfaction. At Pedersen Toyota our technicians are some of the most highly skilled technicians in the industry. They stay current on the latest collision repair information through factory training courses, technician bulletins and industry seminars and repair courses. When you choose Pedersen, our technicians pledge to restore your vehicle to pre-accident condition by using the most modern equipment in the industry and Toyota original parts in most repair applications. Pedersen Collision Repair is also proud to be GREEN! We believe it is important to do our part to help protect the environment and as a result recently converted to water bourne paints. These water-based paints greatly diminish the use of chemical solvents during our vehicle paint process. This cutting edge technology has also improved color match capabilities and is approved by most major car manufacturers. While we always hope you are safe on the road, if you are ever in the need of repairs from a minor scrape to a major auto accident, Pedersen Certified Collision Center is here to serve you.